The company is cooperating with government institutions to operationalize the new mechanism all over Egypt. 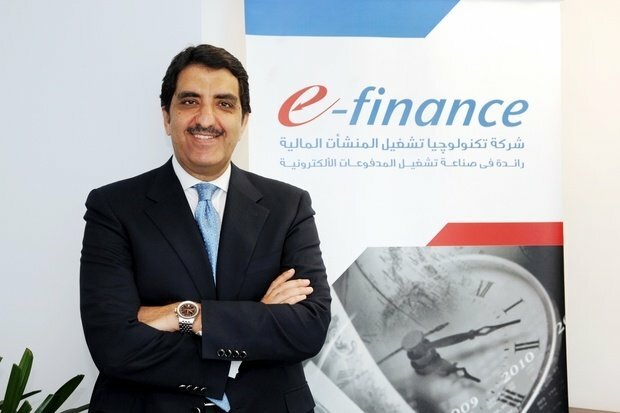 E-finance, the leading financial technology company announced that it delivered 3.4 million smart fuel cards and is now delivering another 1.8 million through traffic departments in different Egyptian governorates. CEO of e-finance, Ibrahim Sarhan (picture above) stated that traffic departments delivered almost 11 thousand cards daily throughout the first half of June which represents 70% of the delivered cards. He added that there are about 3,372 registered fuel stations in the new system. The new electronic mechanism for distributing petroleum products includes much more than just fuel stations; it includes marketing firms, trucks, mega-consumers and many others. The list of mega-consumers includes 1,232 companies operating in different sectors like electricity generation, commercial firms, building and construction, government offices and environmental services. E-finance stated that it had issued all the cards necessary for fishing boats which are about 1,690 cards in the ports of Suez, Barnis, Port Said and Atakah. The company is currently cooperating with Ministry of Supplies and the Egyptian General Petroleum Corporation to activate the new mechanism on the ground and in all governorates.